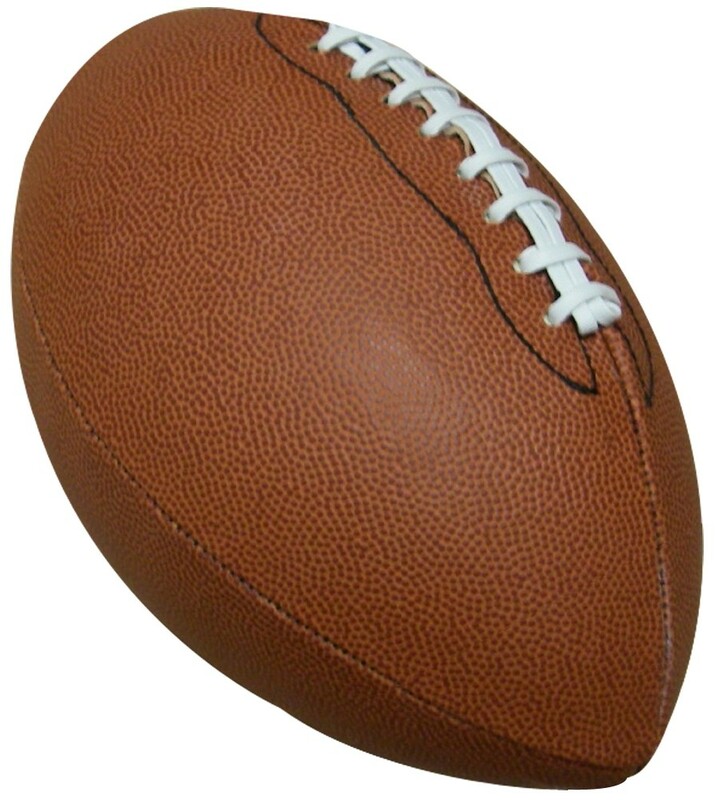 This size nine football is the same size and weight as a Pro ball, and is definitely the standard. It's perfect for older kids and adults. 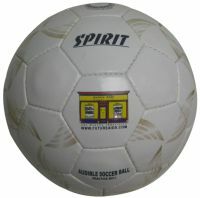 This size two ball is the same design as a regular football, only smaller. We recommend it for children ten and under. 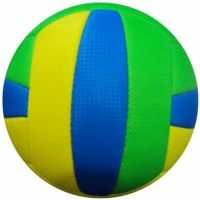 By the way, it's also ideal for players who are brand-new to throwing and catching, as you can easily get your hand around the entire ball. Standard size and weight of a professional ball. 2 large bells inside the ball make noise whenever it is in motion. Unique, oval shape lends itself well to catch-and-throw games. Portable; take it anywhere for loads of fun. Well, if you're just out to have some fun, you don't have to be able to throw a thirty-yard field goal to enjoy a good old game of football. And unless you want to play in the NFL, you don't need to be really big and strong, either. Come to think of it, you don't even need to see the ball. All you really must have is a football with bells in it, so blind players will know where it is at all times. So here you go. Our Bell Football is just like the real thing. 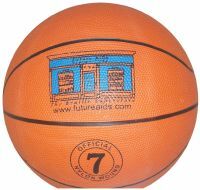 It has the traditional hand-grip you're used to, and the Practice one is the same weight and size as a Pro ball. The only difference is we've added a few bells inside that make a tinkling sound whenever the ball moves ... bells that make it possible for blind players to join in the fun. So try playing Pass in the back yard, Tackle Football in the snow, or get a group of friends together at the park. The unique, oval shape of a football makes it a piece of cake to catch and throw, and it fits comfortably into a napsack. 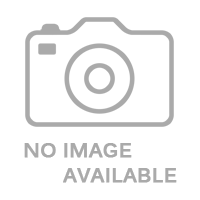 Take it along for your next picnic, camping trip, or beach party. The outdoor fun you can have with a football is truly limited only by your imagination. Just a friendly reminder to our overseas customers: this ball is used to play American Football. 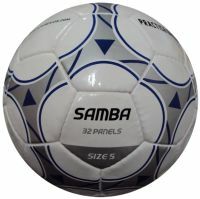 The popular game known as football in Europe and elsewhere is actually known as soccer over here - so you may want to order a Bell Soccer Ball instead.